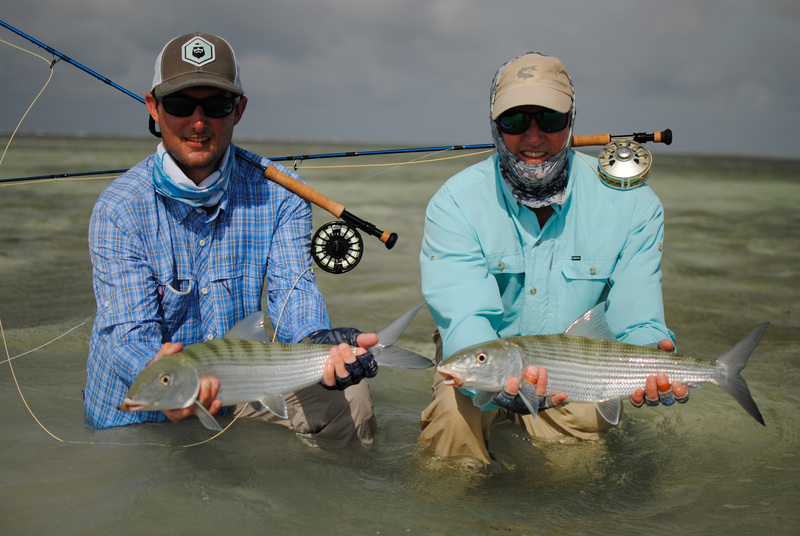 This week’s group of anglers were hosted by Tidehead FlyFishing, a husband and wife team from Idaho that has guided both Idaho and the Florida keys for the last 20 years. 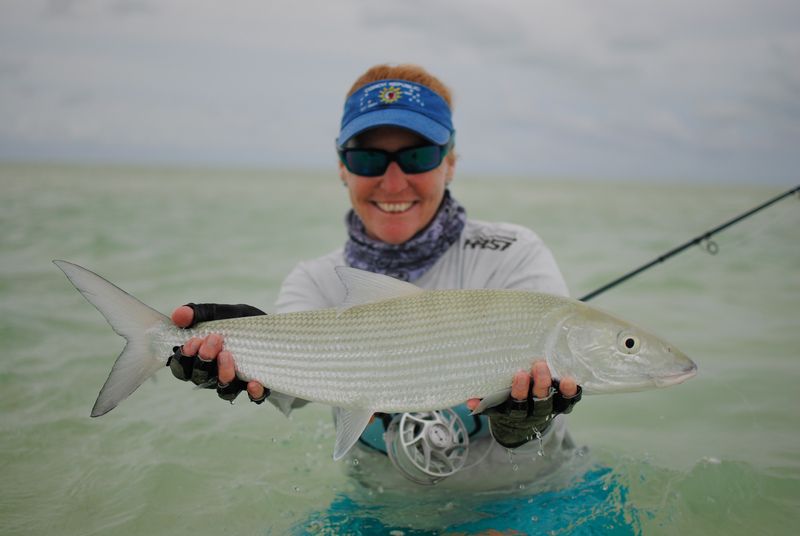 Sue N invited a group of guys who traveled all the way from various corners of the United States. 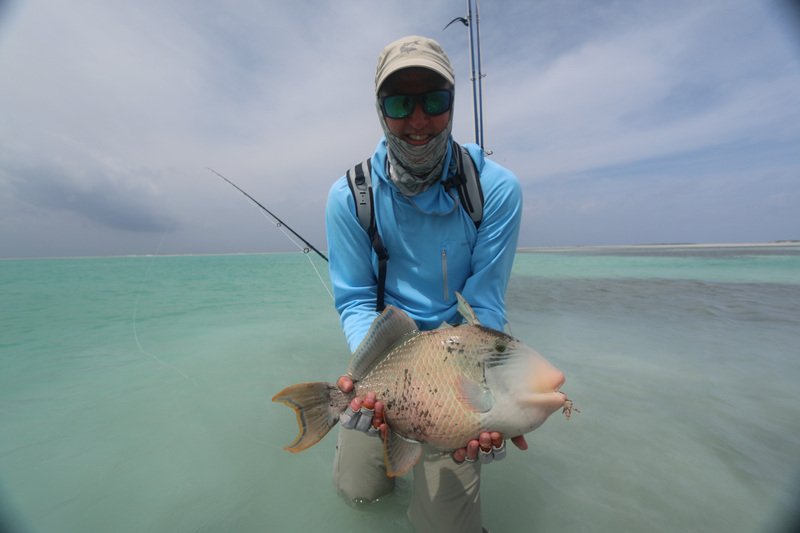 Unfortunately, there was a weather system that caused the incoming flight to be delayed by a day which meant the guide team had some time to make up. 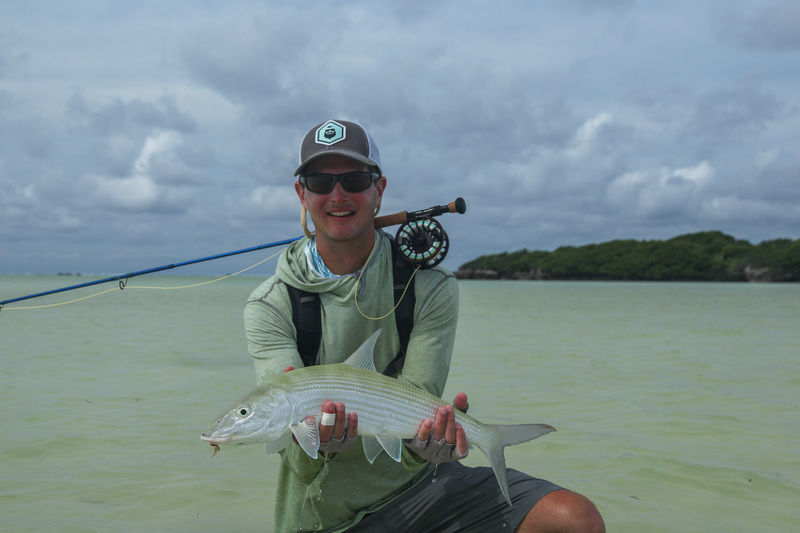 The first half of the week was challenging, with some inclement weather making fishing a little tough. 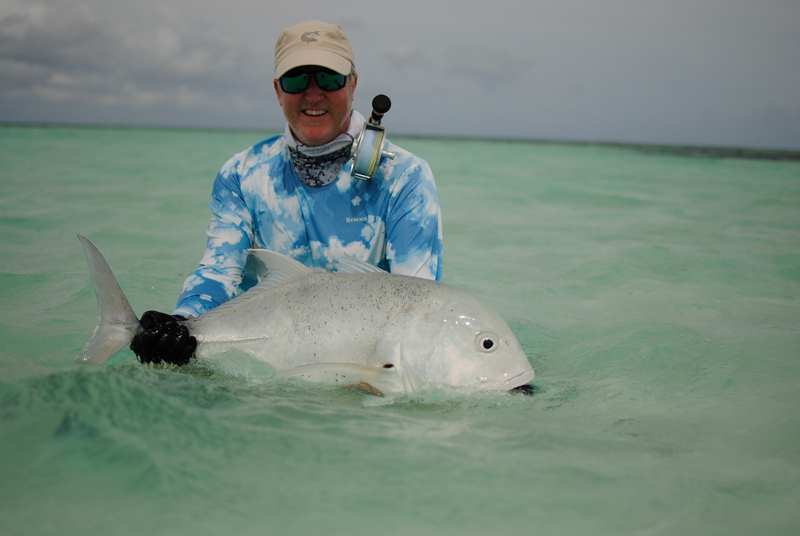 There were some big fish around though and Jim H Jr. didn’t let the conditions bother him as he landed his 101cm GT. 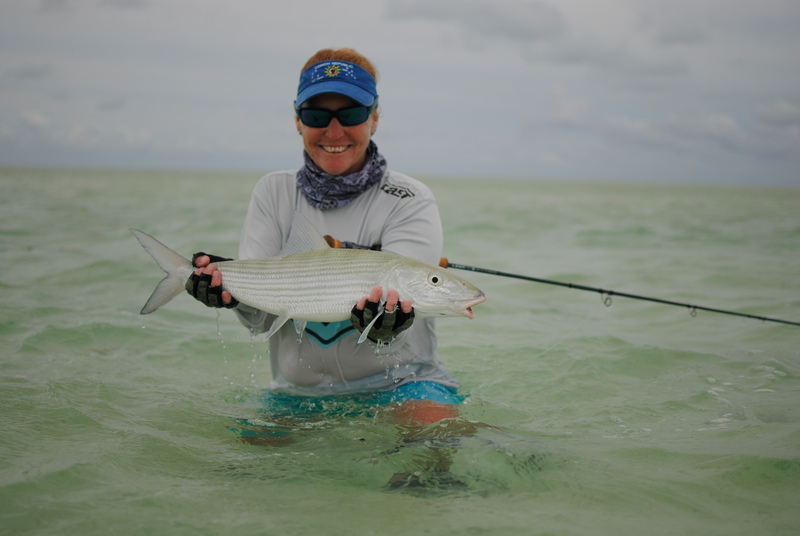 Sue, unfortunately, lost a monster that would have been the ‘fish of a lifetime’. 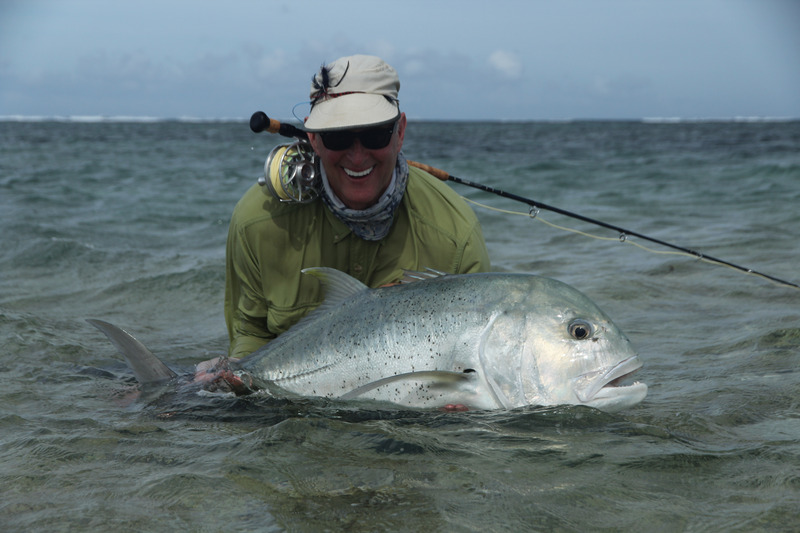 As the week progressed and the conditions improved the GT tally climbed. 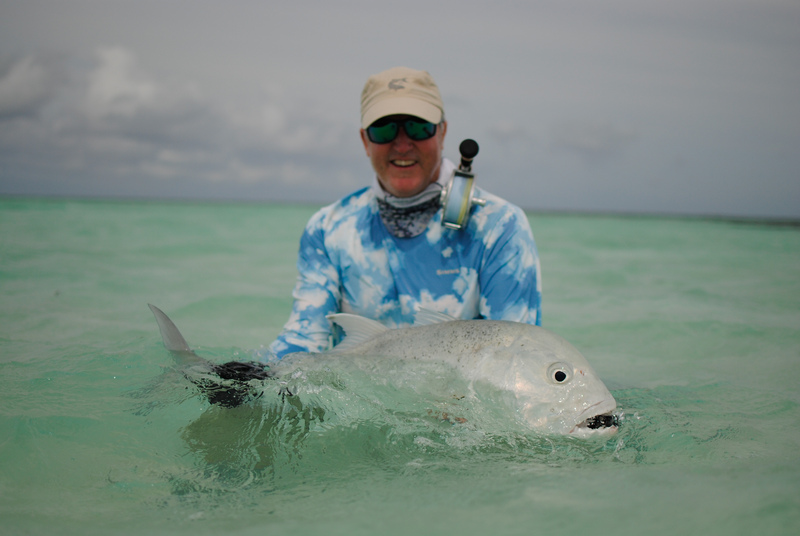 The total number of GTs landed was 77, a result the team was pleased with considering there were some days when there were 25 knots of the wind and heavy cloud cover. 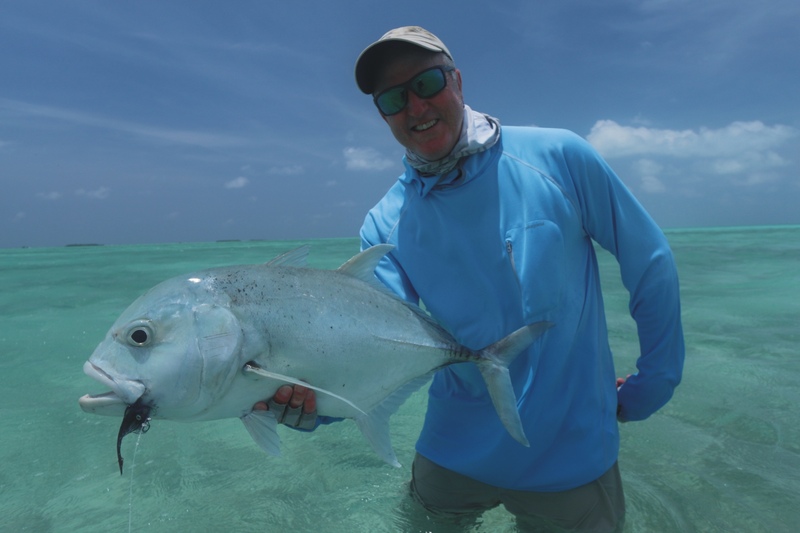 There was also a bad case of the dreaded trout lift syndrome that spread throughout the group and could easily have halved the total. 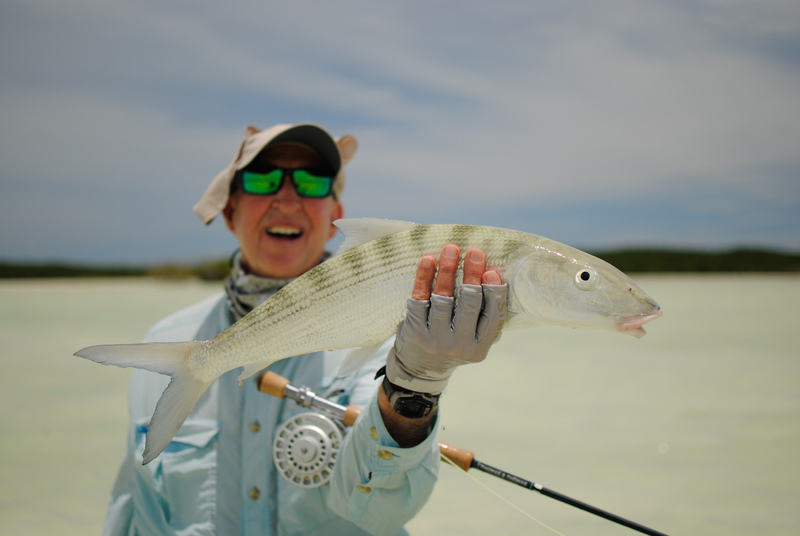 The guys did eventually pick up the strip-strike concept and I feel sorry for the next Idaho trout that gets subjected to the gill shuddering hook set the guides instilled in the Tidehead Team. 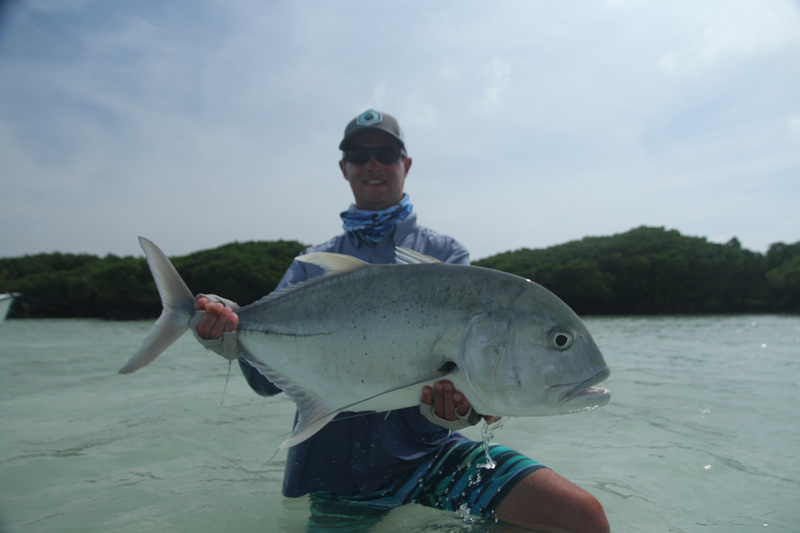 As well as GT’s there were a few other notable catches. 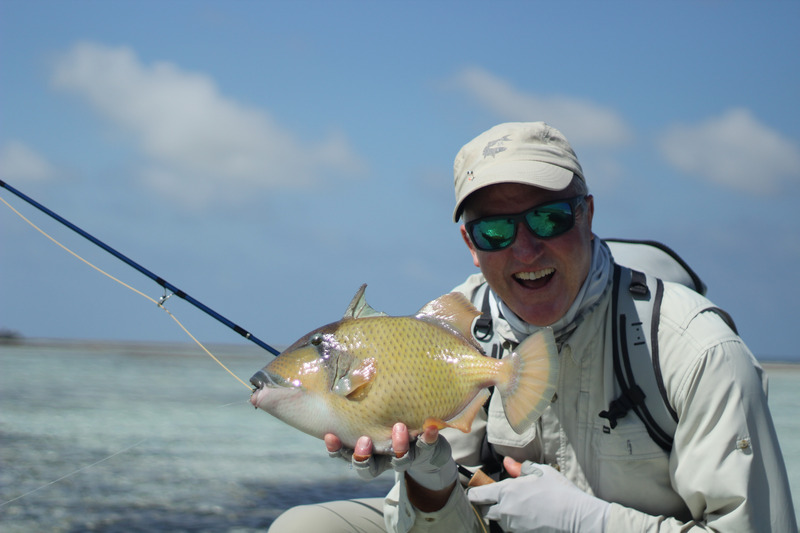 Ken managed two of the three Triggerfish caught, landing one Yellowmargin and one Moustache in consecutive days. 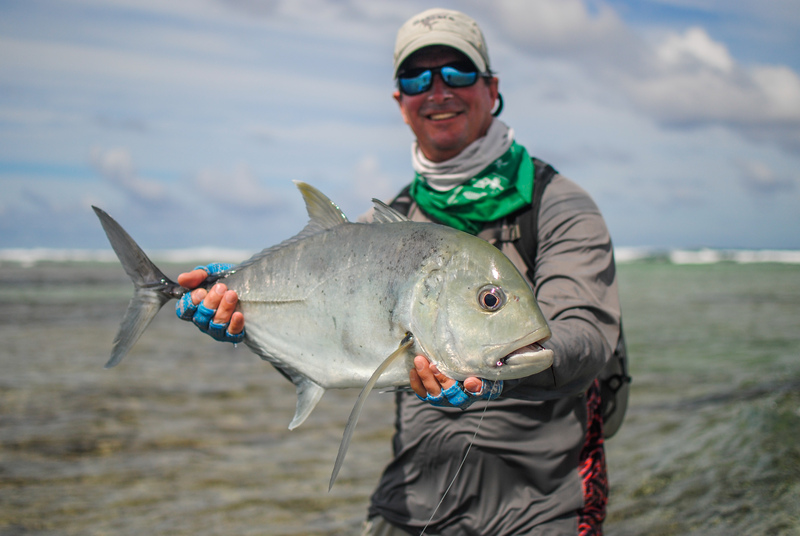 A very large Indo-Pacific Permit was lost. 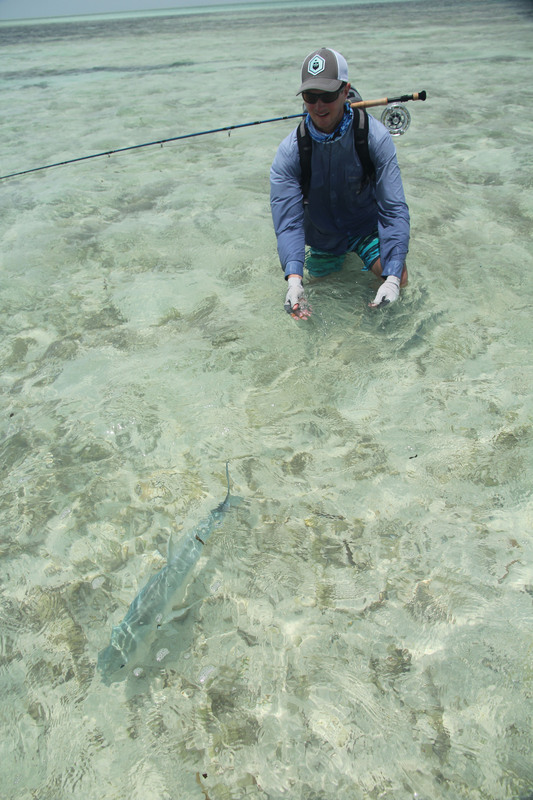 No names will be mentioned here, but it was lost and it still hurts. 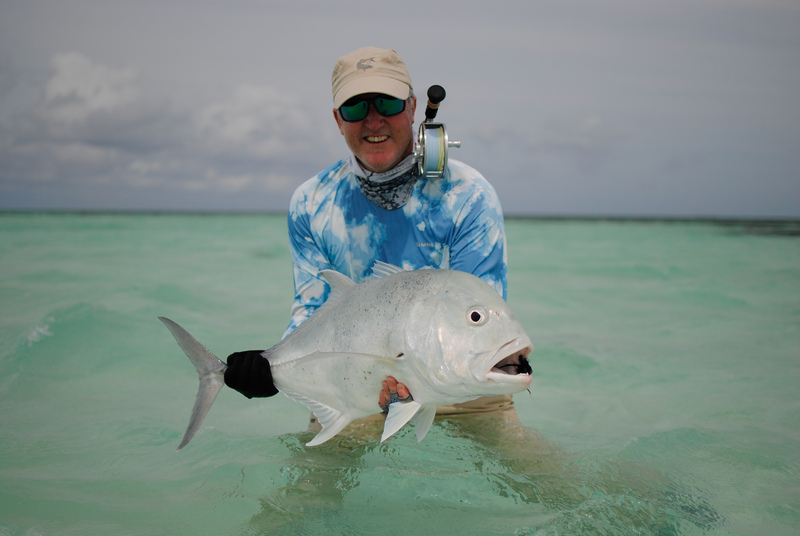 The great fishing aside it was a fantastically fun week and the banter around the dinner table was at fever pitch. 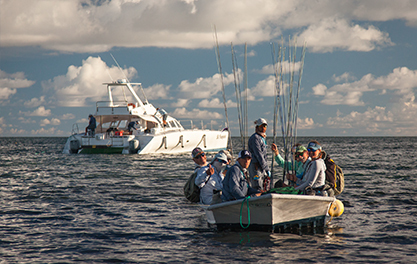 This was one of those groups that the guide team honestly hopes will come back soon. 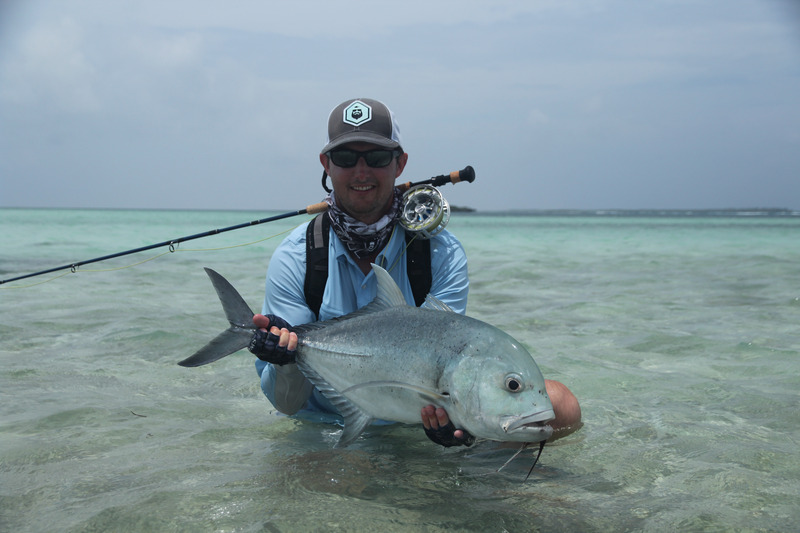 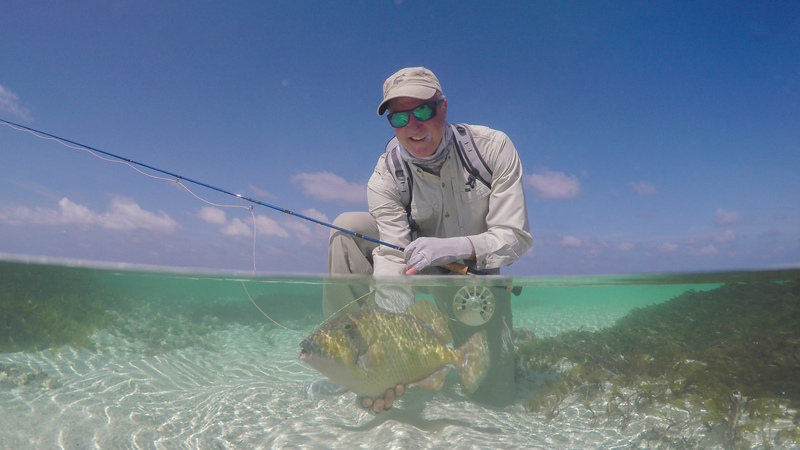 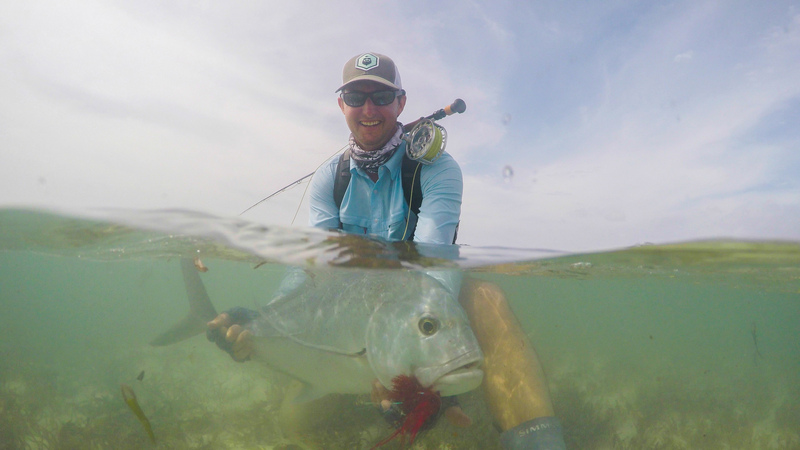 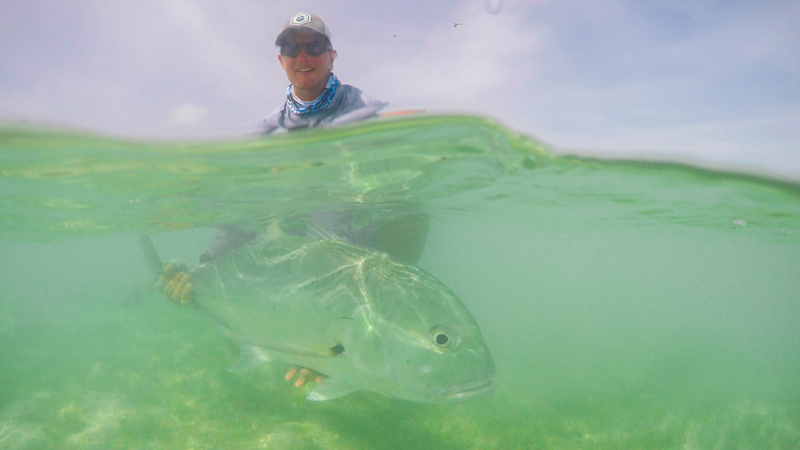 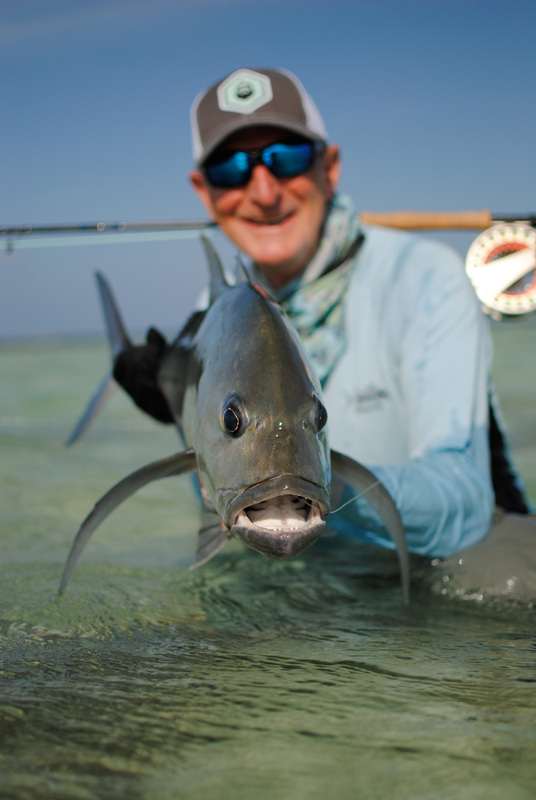 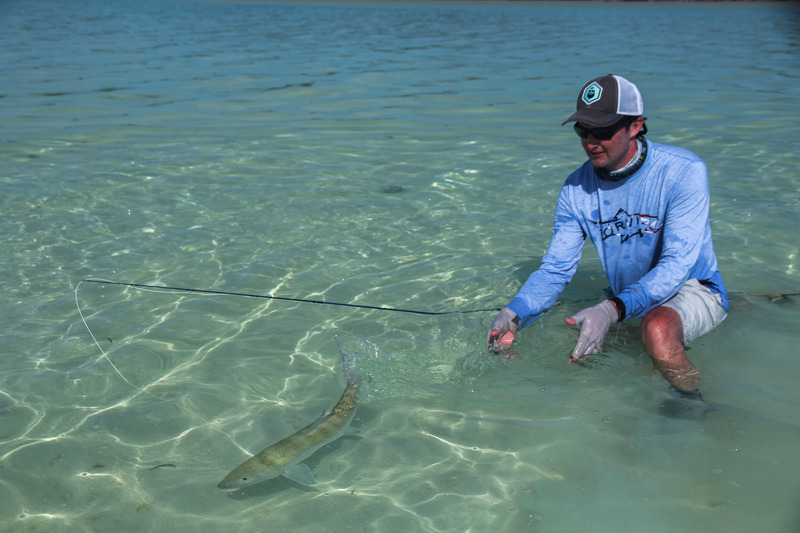 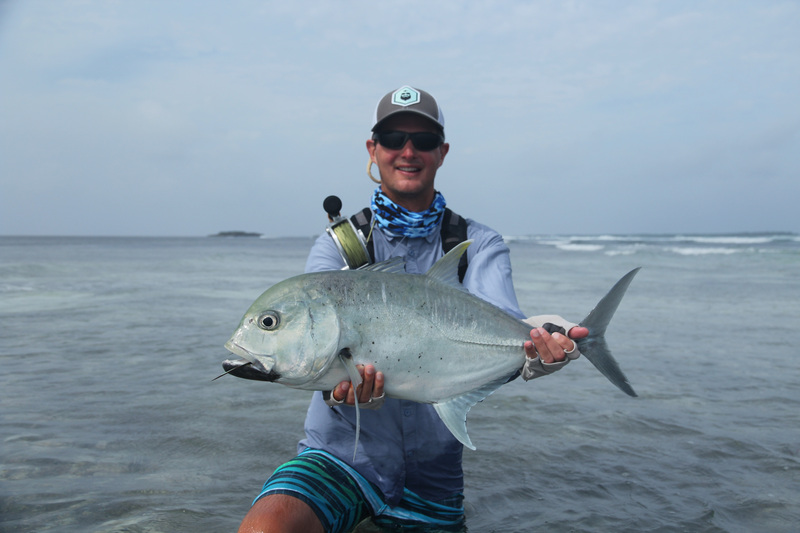 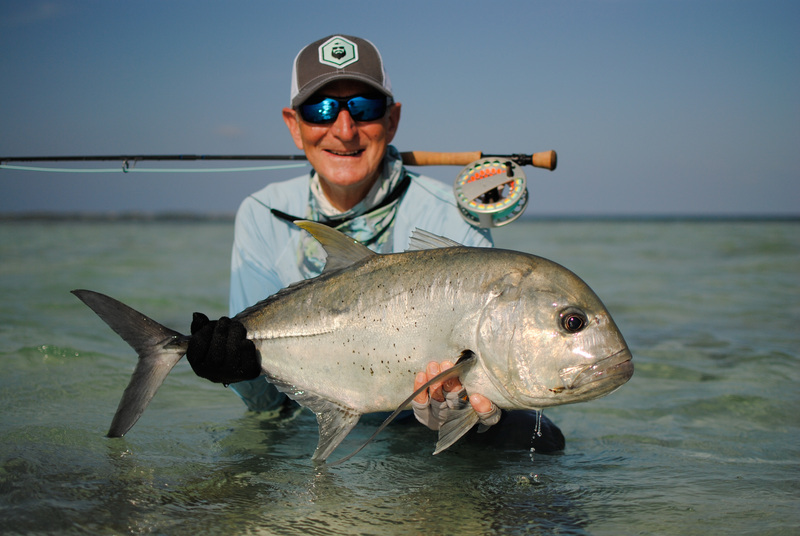 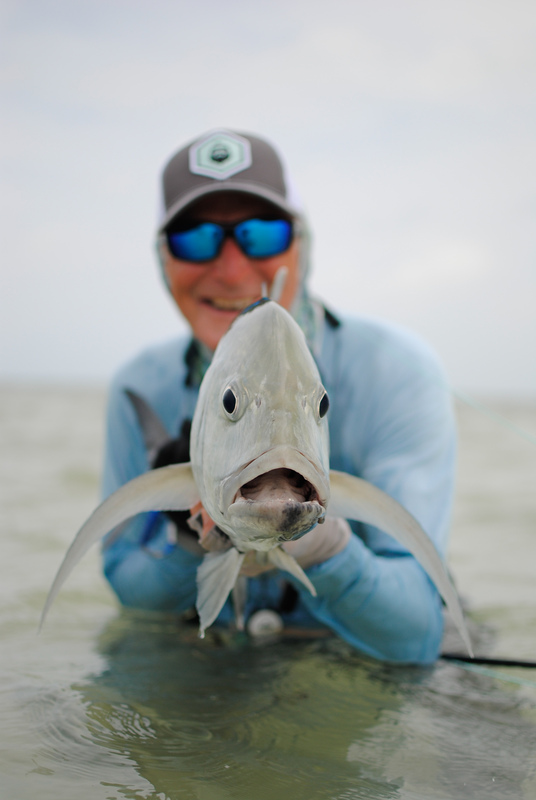 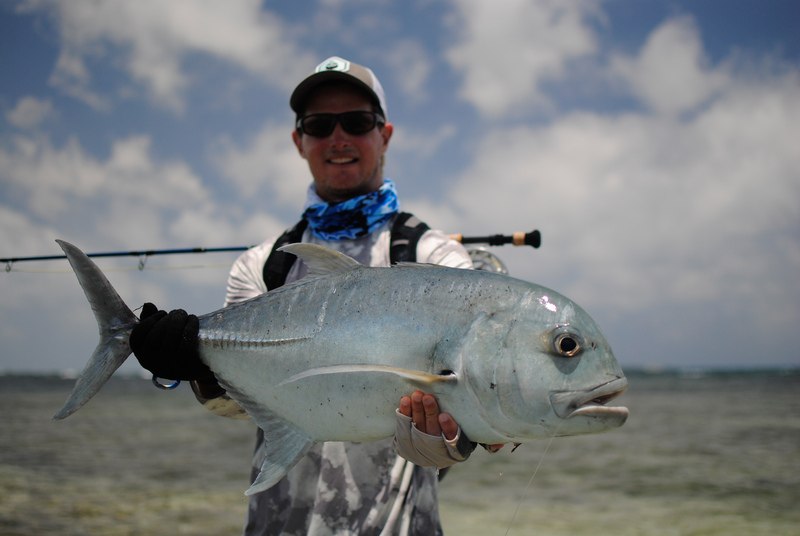 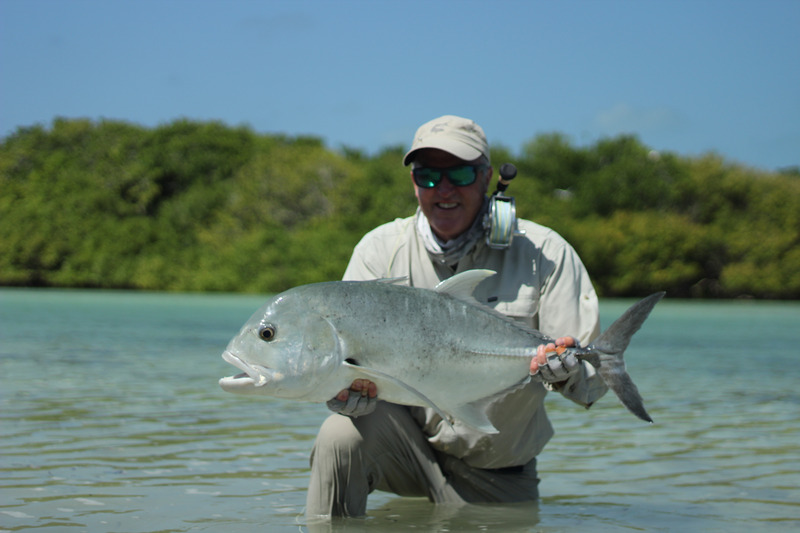 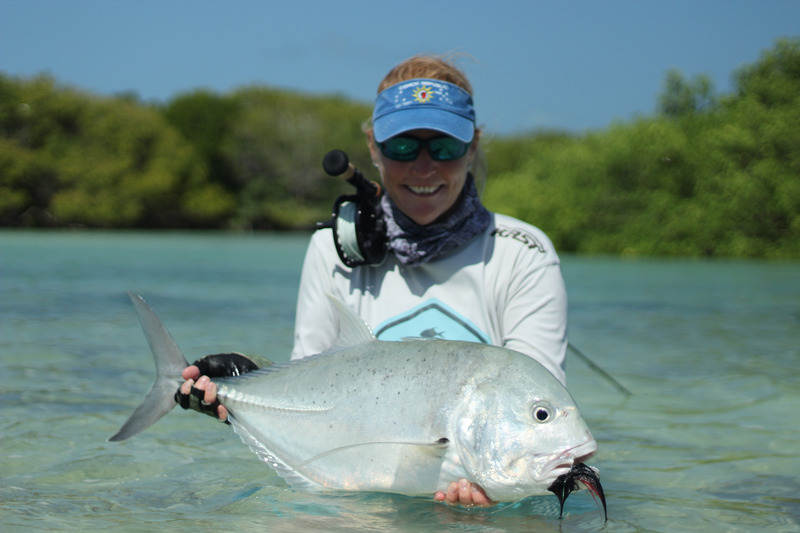 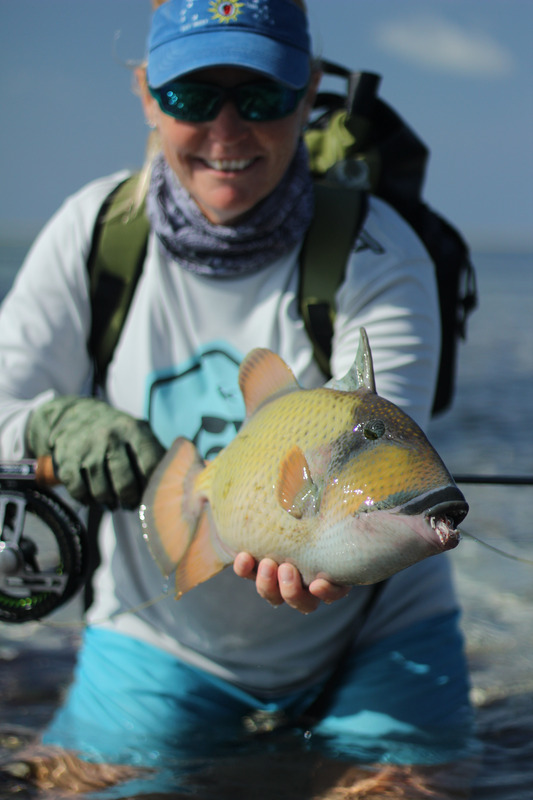 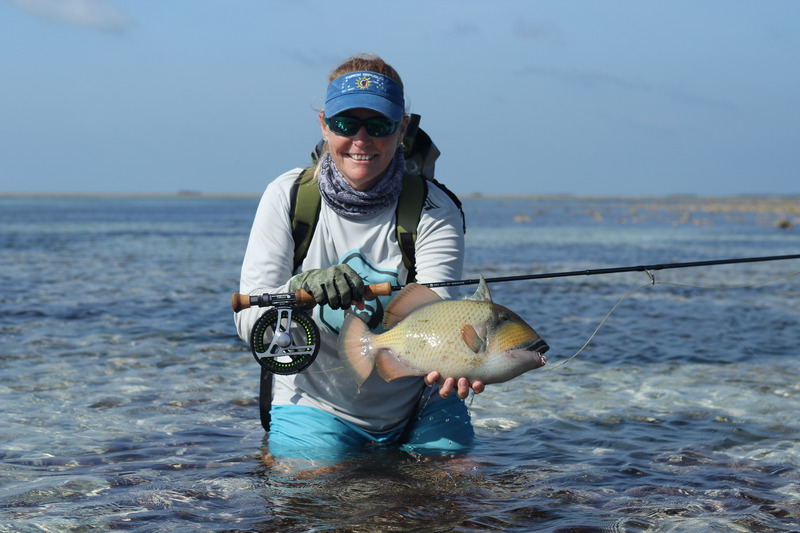 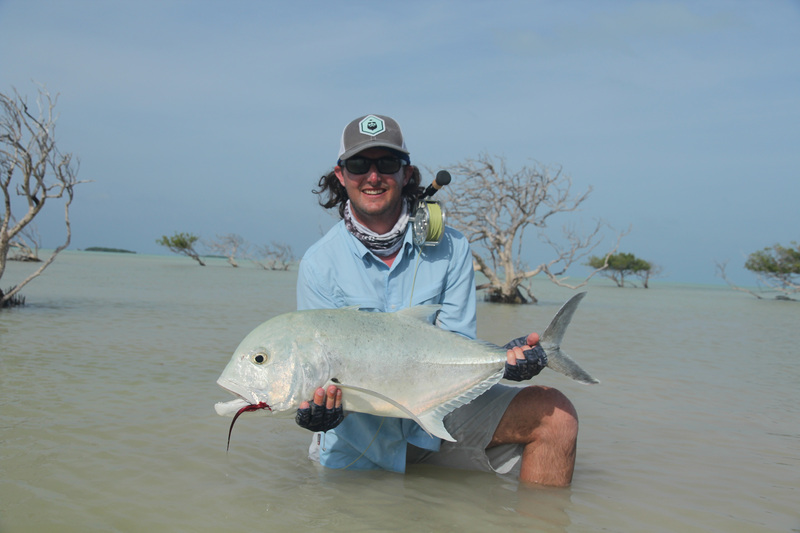 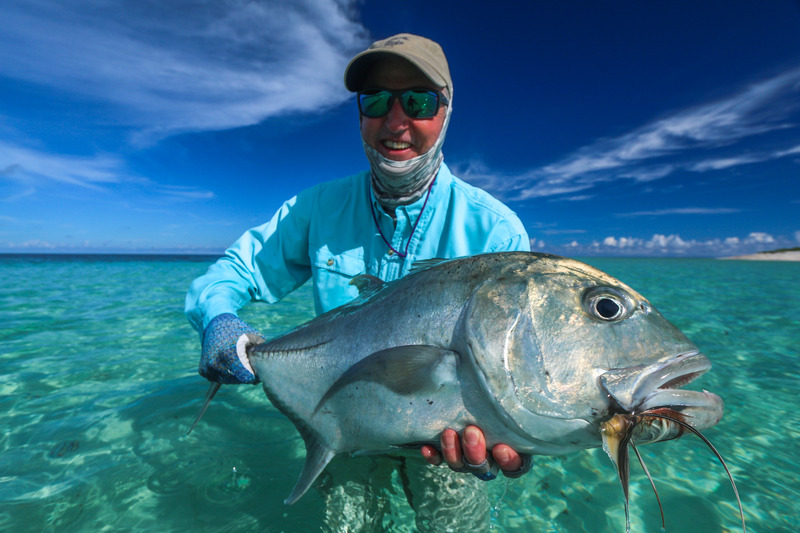 Tight lines from the Alphonse Fishing Co. team on the Cosmoledo Atoll.